A lot of people are affected with back pain at some point in their lives. 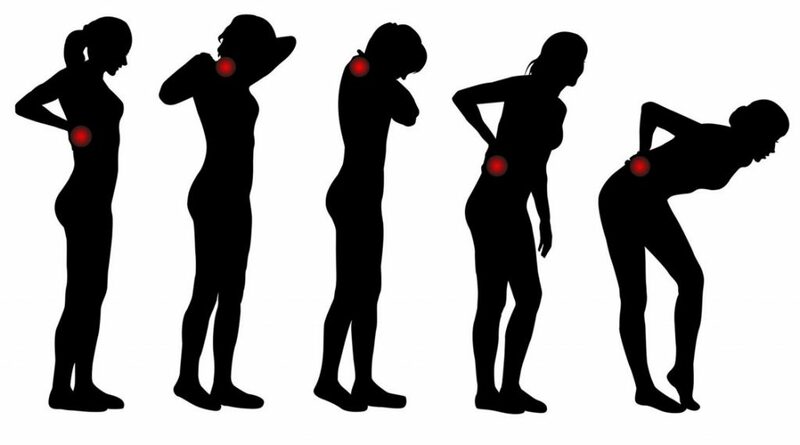 The pain may result due to an incorrect posture while either standing or sitting. Some individuals suffer from back pain due to incorrectly lifting heavy things or bending in an abrupt manner. 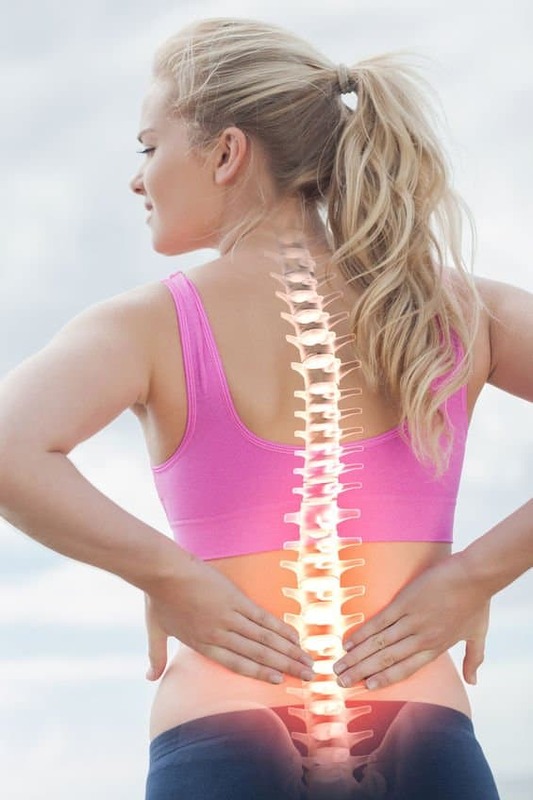 It is also worth noting that most people do not suffer from back pain due to any major underlying cause and will find their back pain disappearing within a few weeks or months. However, in some cases, people experience long-term pain or pain that keeps coming back and this is where essential oils come into play. With that said, let’s see how essential oils can be useful in dealing with issues like back pain. What Are the Different Kinds Of Back Pain? Ankylosing spondylitis is a long-term problem resulting in soreness and stiffness in the area where the pelvis and spine meet. Frozen shoulder causing stiffness and pain due to inflammation. Sciatica caused due to compression or irritation of the sciatic nerve causing tingling, numbness, and pain right up to the legs. Whiplash caused due to sudden impact on the neck. 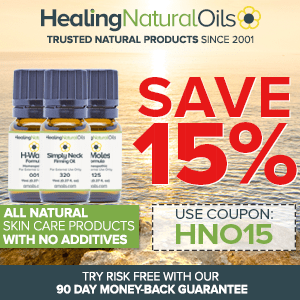 Why Use Essential Oils For Relief In Back Pain? Which Essential Oils Offer Best Relief In Back Pain? The choice of essential oils to use will depend on the kind of back pain you have. Some of these essential oils can be directly applied on pressure points while others need to be massaged properly over the impacted areas after blending them with a base oil like Almond oil. This is the only plant in the world after birch that contains natural methyl salicylate, which is the primary ingredient found in aspirin. Native Americans commonly used wintergreen as a natural remedy for pain. Several studies prove that wintergreen oil delivers cortisone-like effects while being highly beneficial in terms of getting you quick relief from aches and pain. The anti-spasmodic, anti-inflammatory and analgesic properties of this oil make it highly useful for conditions like stiff joints and muscular pain. Also known as the happiness herb and joy of the mountains, marjoram comprises strong sedative properties. The oil extracted from this plant is extremely effective in relieving stiffness, stopping muscle spasms, relieving arthritic pain, and offering relief in migraines. In addition, the oil is useful in relaxing involuntary muscle groups, which includes heart, colon, and diaphragm. For the same reason, marjoram oil is used for treating asthma, constipation, and bronchitis. In addition, it also plays a role in keeping your heart healthy. This oil is also beneficial for people who suffer from distress and emotional trauma. This is a wonderful oil that helps to regulate blood circulation. When using this oil, a good guideline is to always rub clockwise making little circles moving up towards the heart. Your blood flows in this direction, so you want to always move in the direction of the heart. Frankincense, also known as the king of all oils, is one of the most powerful anti-inflammatory oils. This oil is exceptional when it comes to regenerating tissues. In addition, it comes in handy for relieving back pain discomfort too. White Fir is a powerful anti-oxidant that has traditionally been used for the relief of exercised muscles and for comforting rheumatic pain. It smells like a Christmas tree, and is among one of the favorites for relieving the discomfort caused by back pain. The essential oil of the spruce tree is fragrant, sweet and revitalizing. This oil has been used since ages for its ability to center the mind and relax the body, as well as to battle infections. Spruce is also a powerful immune system stimulator that can prove to be very useful in easing the symptoms of arthritis, rheumatism, lower back pain and sciatica. Spruce is also known to stimulate the adrenal glands. One of my top favorites of all essential oils for relaxation and pain relief is lavender. This oil is also one of the oils that are easiest on the skin. Lavender has been traditionally used to treat conditions like headaches, insomnia, tension, muscle strain, various kinds of cramps and burns. It is also quite useful in offering relief in cases of extreme back pain. While helping the digestive system in functioning optimally, the antibacterial properties of this oil help a patient to recover from injuries naturally. On top of that, this delicious-smelling oil can help to ease the mental distress caused by mood swings, stress, anxiety and depression. A staple in Ayurvedic medication, sandalwood is like an elixir for those suffering issues like lymph node congestion, muscle spasms and sciatica. It is also effective in alleviating skin inflammations because of its anti-inflammatory properties. This oil is extremely revitalizing to the skin, smells earthy and rich, and promotes calm mindsets and deeper sleep. It supports both the cardiovascular and digestive systems. How To Use Essential Oils For Back Pain Relief? For best possible results in cases of back pain, apply your choice of essential oils along the spine 2-4 times a day depending on the intensity of discomfort. Use just 2-3 drops of one oil, or use 2-3 drops of each if you desire to use more than one. In cases of severe pain, cover the area with a hot compress after applying oils to help the essential oils go deep inside the skin. In case you feel that some oil is too harsh for your skin, do not hesitate in diluting it further. The carrier oil I use to dilute my essential oils is almond or coconut oil. However, any good carrier oil will do. Mix coconut Oil (1 teaspoon), white fir (3 drops), marjoram (2 drops), lemongrass (2 drops); gently rub this blend onto your chest, on the shoulders and on the back of the neck. Let us be clear on one thing; this is in no way anything like morphine. This is not going to knock you out. This recipe is a good one that you can use for back pain relief. In an empty capsule, add 2 drops each of frankincense and marjoram essential oils. You can take this pill two times a day for considerable relief. Do not consume other oils except for those certified as food grade and consult your doctor prior to doing so. This natural and icy hot blend combines osmanthus, wintergreen, helichrysum, camphor, blue chamomile, blue tansy, and peppermint. Just blend 5 drops of each of these oils in a 30ml glass bottle, fill the rest with a carrier oil (almond or jojoba) and massage the impacted areas with this solution 3 times a day. You can bank upon this mix of essential oils when it comes to relieving back pain. For easier application, it is also possible to use it in a spray bottle. Essential oils can easily alleviate lower back pain. Just mix 15 drops of frankincense, 10 drops of jasmine or sandalwood oil to an epsom salt bath and soak yourself in. Alternatively, you can choose to massage your back with a mix of rose, lavender, ylang ylang, frankincense, jasmine and sandalwood. Add 3 drops each of the above-mentioned essential oils and apply twice a day to the affected areas. Mix together the following essential oils in a 10ml bottle: lavender (15 drops), marjoram (8 drops), rosemary (8 drops) and peppermint (15 drops). Shake well and fill the rest of the bottle with a carrier oil such as sweet almond or jojoba oil. Massage over the affected areas up to three times a day for instant relief. Add rosemary (5 drops), peppermint (5 drops), eucalyptus (3 drops) to 1 tbsp of carrier oil (coconut or sesame oil) and massage this blend to the affected areas up to three times a day. Sciatica pain originates in the spine and travels down the back of the leg, generally on one side of the body. Sciatica can be caused by poor sitting posture over time. Simply add lavender (10 drops), rosemary (6 drops), marjoram (6 drops) to 2 tbsp of carrier oil such as grapeseed oil. Massage this blend over the affected areas two times a day. If you don’t have time to perfect your blend of essential oils, you could always give l’orpur a go. 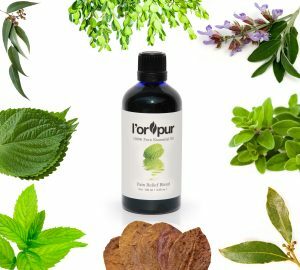 L’orpur is an essential oil blend consisting of 8 essential and carrier oils ready for use. It is excellent for back pain relief and is backed up with many testimonials. 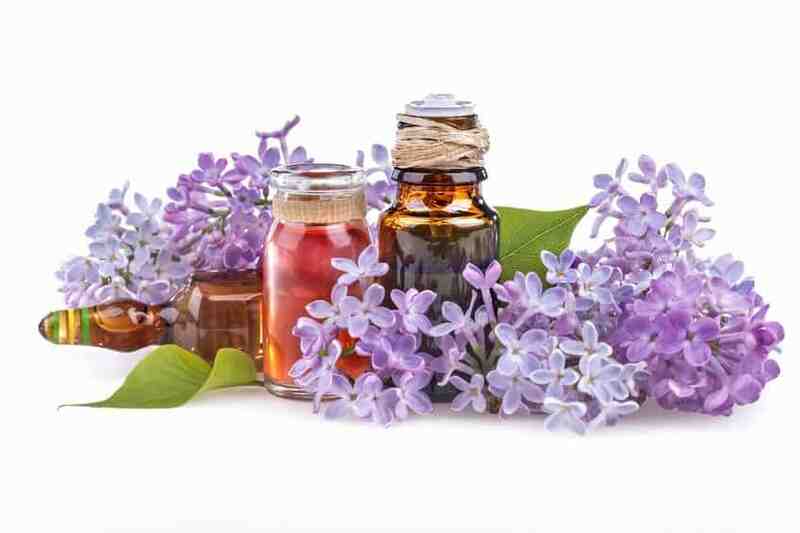 The above-mentioned essential oils do not even start to scratch the surface of the broad selection of essential oils available in this world for pain relief. On top of that, pain relief is just one of the amazing effects of these essential oils. Whatever discomfort life throws your way, check with nature first, it may have an easy antidote for that. Please, can you tell me which essential oils are good for sensual massage? If possible send me the amount of drops use for the receipe. What essential oils do you recommend for a gallstone attack? I really don’t want to deal surgery? Could you please sent these recipes for back pain in a printable form? I’ll have a post on that in the coming months, stay tuned. You can use 6 drops each of lavender and roman chamomile diluted in 1 ounce of almond oil and apply to the affected areas when needed. I have the back pain receipes, but I all so need a receipt (with amounts of each oil) for pancreatitis, please. Pancreatitis is basically inflammation of the pancreas. One excellent essential oil to cure it is lemon oil which is high in d-limonene, a natural compound that helps eliminate the toxins from the organs. Add 1-2 drops of lemon essential to a warm glass of water and drink every morning. You can have another one in the afternoon or evening. You can supplement the above treatment topically, i.e. dilute 2 drops of lemon oil and 2 drops of peppermint in 1 tsp of jojoba oil and massage the blend on the left hand side where the pancreas is located. Repeat twice a day. As always, please consult with your doctor before ingesting any essential oils in case of any underlying health conditions. And if you are buying any other brands of essential oils, make sure you are able to ingest them. My own l’orpur certified organic lemon essential oil is fine as I do so every morning in water or herbal tea. I enjoy and have learned alot about oils from your site. Do you have a recipe that will calm down ms pain? MS pain is a bit unusual and can come from different places all around your body, including joints, muscles, bones, face, neck or can be due to damage in the spine, etc. You will need to talk to your doctor about treatment. There is no such recipes for MS pain, however you can try lorpur as it will help you manage the pain. You can apply it to all places in the body, except the face. Click here for more info about lorpur. I have sent you the info privately. Please check your inbox. I too was trying to print out these great recipes but was unable to. Would you mind emailing these to me? Thanks! I have sent the recipes to your email, please check your inbox. Is there a reason I am unable to print this? I love the information, but I glance over it, print it, and actually read it in my comfy chair instead of trying to sit at the computer, WHICH HURTS MY BACK!!!! Please check your inbox. I have emailed you the recipes. Thank you, It is greatly appreciated. Olivia, I just got home from a foot doctor….I dropped something on the top of my foot about 4 weeks ago when I was packing to move to another state….he took x-rays to see if it could be hairline fracture or broken bone because it had been swollen, bruised and inflamed for about 3 weeks…he said looking at the x-rays I have osteoporosis (sp) in my foot and mostly when I dropped something on it the inflammation made it flair up…..steroid shot and stay off it for a couple of days and come back in 30 days if that did not do what he is hoping it will do. I believe essential oils can do just about everything and I want to know if there is a recipe to help out with this osteoporosis to keep from having steroid shots…I am a diabetic and this just drives my sugar levels sky high….thank you for any advise you can give me. For osteoporosis, please apply helichrysum (day time) and cypress (night time) essential oils to the affected areas and continue the treatment for a period of time. Please also ensure you take calcium and magnesium supplements and eat plenty of dairy, fresh fruits, vegetables and food that contains omega-3, e.g. salmon fish. Ginger, Myrrh and Frankincense essential oils have amazing anti-inflammatory properties. You can refer to this post here for back pain relief using essential oils. Alternatively you could try l’orpur for back pain relief. I think I would like to give this a try as well. I have a friend that is going through chemo and could use some the relaxing benefits of some of these oils. Thanks for the tip! Do you have anything for addiction? You will need to consult your doctor to overcome this issue. In the meantime, you may wish to start an essential oil massage treatment using the essential oil and recipes in the above post.